The Dade County courthouse looks so elegant in the back ground, hope it becomes a hotel and restore some of the court rooms to become looking bars. Miami is missing such a bar scene. Everything doesn’t have to be a club or a Brickell bar only not a club by name. And that is why I go to breweries. Check out Lost Boy at the Dupont Building. Fantastic happy hour with solid drinks. Every place in Miami has an identity crisis. Take AmSo for example. Is it a restaurant? Bar? Club? It does an average job at all three. Such is the case for so much in Brickell. I’d want to see it become Miami’s city hall, but a luxury boutique hotel is a close second. I still believe, they should add one station in Boca and another in Hollywood or Aventura. Why would they do that? Have you not heard of TriRail? They already have stations there. Because if you are going to have to drive from Boca to fort Lauderdale you may as well keep driving to Miami duh same as Aventura. I think Brightline should do this as well and run Express and Local trains on the line, express stopping at the big cities and locals stopping at the places in between, this system works great in Osaka-the Keihan Line runs from Osaka to Kyoto with express trains getting you from downtown Osaka to downtown Kyoto in an hour and some, with local trains taking about 2 and half hours to complete the same journey. Ultimately, however, this corridor can only work with real density and expanded rail infrastructure out into the suburbs. The lack of political will or synchronized planning between the three southern counties is what is killing South Florida-that and the “every man a car” logic which continues to exist. Miami’s streets are gridded, building a synchronized rail system is not rocket science, it’s easy to do, but nobody wants to fit the bill cause god forbid politicians actually do something for the people they’re supposedly representing. Also-it’s hot everywhere so that excuse is useless. 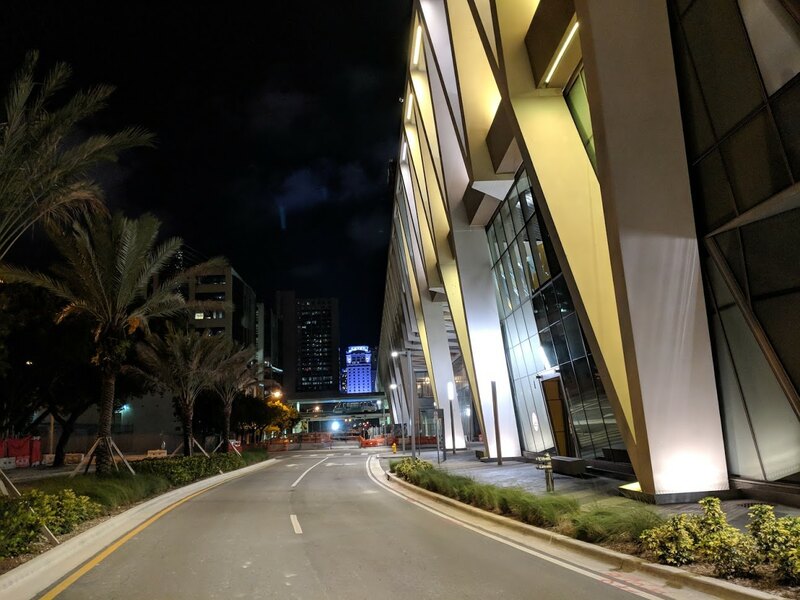 Brightline wasn’t conceived to be a commuter rail like metrorail or even Tri-rail. It was designed for long county to county commutes. Now that Virgin is taking over, are the trains going to be painted red with the Virgin logo? Serious question: Wasn’t a Hyperloop being discussed from Miami to Orlando? I haven’t heard anything in a while and would imagine with Virgin injecting money into Brightline (Virgin trains now) Hyperloop will be canceled. The technology is not quite ready. And any Florida Hyperloop will face years of environmental studies.Look for India, Dubai and France first. Hyperloop is a pipe dream being sold by a man who can barely control his own-so far unsuccessful-electric car company, while great for inspiration, Musk and his talk is usually hot air. What’s the need for a prohibitively expensive and dangerous technology like hyperloop when we already have highspeed rail? So unsuccessful that his 10yr old car company has similar market cap to Ford and GM, and sold more electric cars than all other makers combined. This is not considering the Tunnel company and SpaceX, both successful. what about coastal link can we get that done? No Coastal Link was the bait for locals in the path of Brightline. Coastal link is never going to happen you suckers. Miami where is the traffic? Everytime i come down there, it’s not much. Somehow Branson turned the ridiculous sounding “Virgin” brand into something cool. So I guess it should work, since generic “Brightline” is not any better. He founded it himself. It started as a record company whereas him and his business partner were “virgins” in the music industry. Not quite the first choice I’d pick, but it’s better than some stupid made-up, gibberish Latin name. Is there nothing capitalism can’t accomplish? Proper sentence structure is apparently one of capitalisms great downsides. Affordable health care where everyone is covered. Okay smartass. If it wasn’t for capitalism, an increasing life expectancy, cures to illness, etc. wouldn’t exist making health care irreverent.